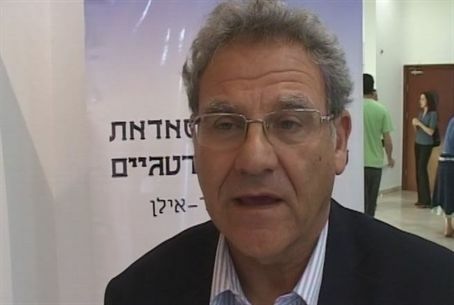 Prof.Efraim Inbar says Israel should not be responsible for PA, particularly after their UN move. And perhaps it should leave that body. Inbar: "I'm not too upset by it. The Palestinian Authority is a fictional entity. It continues to exist only because of the IDF, and if we are not there, Hamas will take over take the place. I'm not sure it is right for us to continue to support the Palestinian Authority. We should let it fall apart." "The UN is irrelevant. This move won’t bring them closer to a state. What matters is only the facts. I think the strategic decision that was recently passed by the forum of nine senior ministers, to support them financially, is not good for the Jews. There is no obligation to give them money. It's just like that same old nonsense of giving gas and electricity to Hamas in Gaza." “Absolutely. Take Taiwan for example. It was thrown out of the UN and it functions very well." If I understand what you’re saying, you are supporting the remarks of Foreign Minister Avigdor Lieberman, that the Israeli response to the Palestinian move at the UN should be the collapse of Abbas’s rule.